I know I should take a multivitamin each day. I don't eat well enough some days to make sure I get all the vitamins and minerals I need. But, I hate taking pills. Often, they're big and hard to swallow. Chewables often have a chalky texture that I don't like. 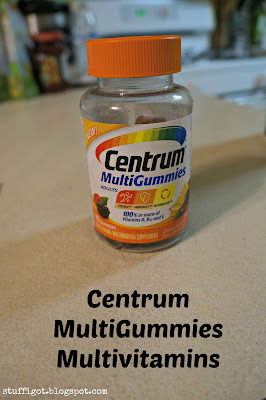 So, I usually buy gummy vitamins. 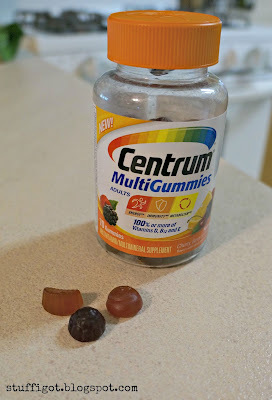 Recently, I had the chance to try the new Centrum MultiGummies. They're an adult gummy multivitamin that's designed to help support your energy, immunity and metabolism. 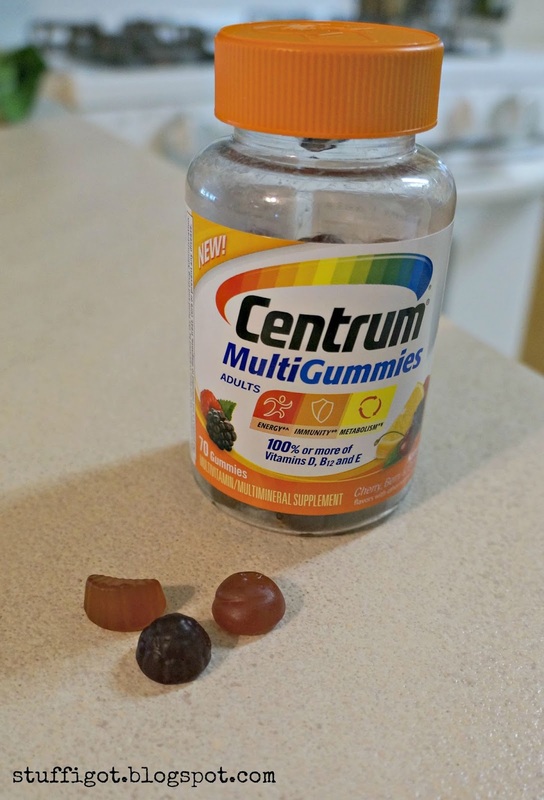 They include 100% or more of Vitamin B12, D and E.
Centrum MultiGummies come in three flavors: Berry, Cherry, and Orange. The vitamins have the texture of fruit snacks. They taste good and are something I wouldn't mind taking each day. The dosage for adults is two gummies a day. I like that they don't contain any artificial flavors or sweeteners. They also don't contain any of the common allergens, such as wheat, milk, soy, peanuts, egg, tree nuts, shellfish or fish. This is important for me because I'm allergic to three of those! The vitamins are not formulated for children, so make sure to keep these out of their reach. 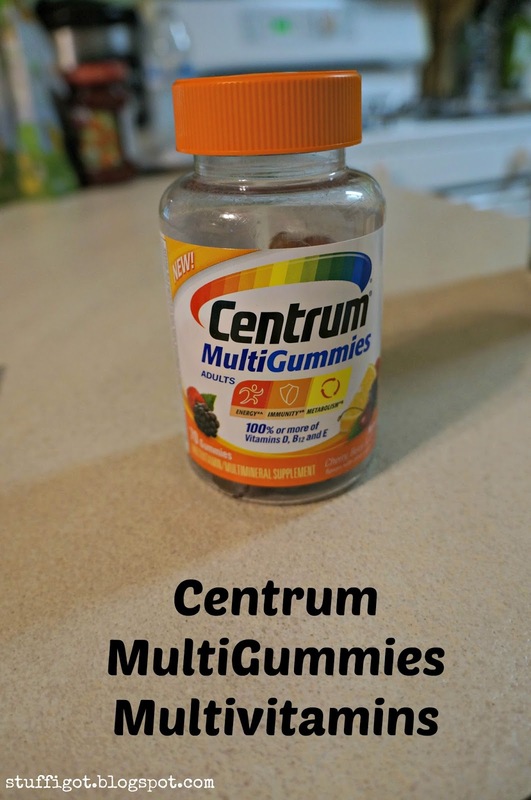 Centrum MultiGummies are available to purchase at all major drug stores, mass merchandisers, grocery stores and online retailers. A 70-count bottle retails for $8.99. You can click here for a coupon to save $2.00.